Research on the pathogenesis of type 1 diabetes relies heavily on good animal models. The aim of this work was to study the translational value of animal models of type 1 diabetes to the human situation. 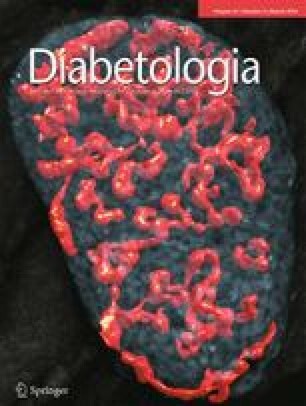 We compared the four major animal models of spontaneous type 1 diabetes, namely the NOD mouse, BioBreeding (BB) rat, Komeda rat and LEW.1AR1-iddm rat, by examining the immunohistochemistry and in situ RT-PCR of immune cell infiltrate and cytokine pattern in pancreatic islets, and by comparing findings with human data. After type 1 diabetes manifestation CD8+ T cells, CD68+ macrophages and CD4+ T cells were observed as the main immune cell types with declining frequency, in infiltrated islets of all diabetic pancreases. IL-1β and TNF-α were the main proinflammatory cytokines in the immune cell infiltrate in NOD mice, BB rats and LEW.1AR1-iddm rats, as well as in humans. The Komeda rat was the exception, with IFN-γ and TNF-α being the main cytokines. In addition, IL-17 and IL-6 and the anti-inflammatory cytokines IL-4, IL-10 and IL-13 were found in some infiltrating immune cells. Apoptotic as well as proliferating beta cells were observed in infiltrated islets. In healthy pancreases no proinflammatory cytokine expression was observed. With the exception of the Komeda rat, the animal models mirror very well the situation in humans with type 1 diabetes. Thus animal models of type 1 diabetes can provide meaningful information on the disease processes in the pancreas of patients with type 1 diabetes. The online version of this article (doi: 10.1007/s00125-013-3125-4) contains peer-reviewed but unedited supplementary material, which is available to authorised users. We thank D. Lischke and U. Sommerfeld (both from the Institute of Clinical Biochemistry, Hannover Medical School) for skilful technical assistance. This work was supported by grants from the Deutsche Forschungsgemeinschaft (JO 395/2-1), from the European Union (Collaborative Project NAIMIT in the 7th Framework Programme, Contract No. 241447) to PM, CM and SL and from the Canadian Institutes of Health Research and the Canadian Diabetes Association and Cure Diabetes to FWS. CM is a clinical researcher at the FWO-Vlaanderen. AJ designed and performed experiments, analysed data, and wrote manuscript. TA, AMV, JK, DW, H-JH, LM, PM, NH, YN, G-SW FWS, CG and CM contributed to acquisition of data and revised the manuscript according to the discussion section. G-SW and CM drafted the article and revised it critically for important intellectual content. SL designed experiments, contributed to the discussion and wrote the manuscript. All authors revised and approved the final version to be published.